The Vision for 2020explains that “full spectrum dominance” means military control over land, sea, air, and space (the so-called fourth dimension of warfare) “to protect US interests and investment.” “Protect” means guarantee operational freedom. “US interest and investment” means corporate profits. The use of the Army, Navy, and Air Force—the three dimensions of power—means that the US is already close to achieving “full spectrum dominance.” Brown University’s Cost of War project documentscurrent US military involvement in 80 countries—or 40% of the world’s nations. This includes 65 so-called counterterrorism training operations and 40 military bases (though others think the number of bases is much higher). By this measure, “full spectrum dominance” is nearly half way complete. 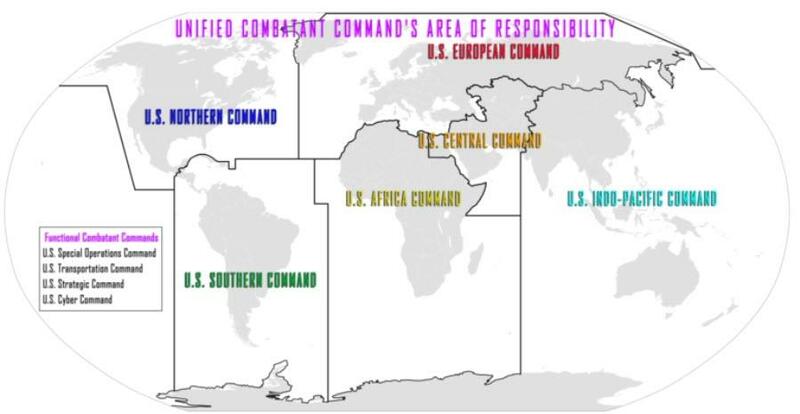 But the map leaves out US and NATO bases, training programs, and operations in Estonia, Latvia, Poland, and Ukraine.